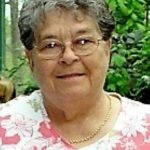 Newport News, Va. – Margaret Elouise Johnson, 85, passed away peacefully at home on Saturday, February 2, 2019. 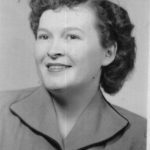 Margaret was a native of Watauga County, North Carolina and a Newport News, Virginia resident for more than 60 years. She was the daughter of the late Earl Detroy Pyatte and Louise Anna Fox. Margaret was many things to many people, a loving wife and mother and an encourager and friend to everyone. Left to treasurer her memory is her husband of 65 years, James Herman Johnson; a sister-in law Jewel Moon of Newport News, and one brother, Ed Pyatte of North Carolina. She also leaves to cherish her memory her children; Tony Johnson and wife Carla of San Diego, California; Richard (Wayne) Johnson and wife Marlys of Yorktown; Anna Taylor and husband Michael of Yorktown; and daughter-in-law Brenda Williams of Suffolk; four grandchildren, Kristina, Samantha, Kevin, and Eric, two great grandchildren, a host of nieces and nephews and of course, her many friends. Margaret was predeceased by a brother Hugh Pyatte, a half-sister Pauline Pyatte Johnson, and a son, Curtis Johnson. The family would like to thank the devoted staff of Mennowood Retirement and Intrepid Hospice for their special loving care. A Funeral service will be held on Monday, February 4, 2019 at 2:00pm in the chapel of Amory Funeral Home, Grafton. The family will receive friends following the service. Interment will be private.